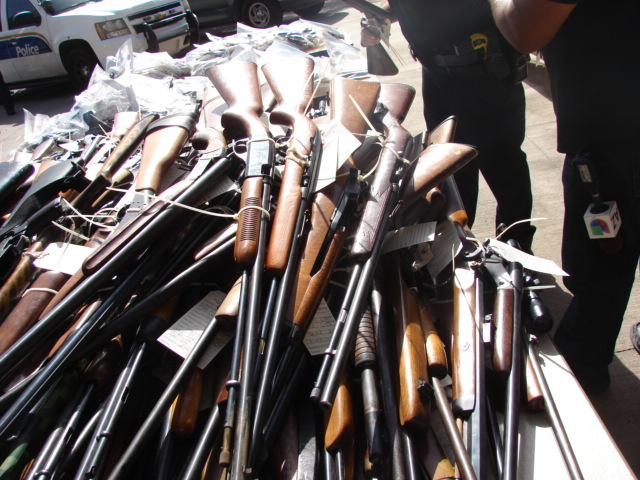 DETROIT, MI -- The Detroit Police Department has taken action in recent years through gun-buyback events to remove guns, legal or not, from the streets of Detroit. But first-year Police Chief James Craig takes a slightly different approach. He says in the hands of legal, law-abiding citizens, firearms "could be a deterrence to violent crime." The Palm Bay campus was locked down during incident, and emergency alert messages were posted on the college’s website and sent via text message to all students, faculty and staff telling them to remain in place with doors locked. A JUSTICE of the Peace turned the tables on a criminal, shooting and killing an unidentified man who, armed with a knife, forced his way into the JP’s St James home during the early morning hours yesterday. Police reported at about 5 am, Justice of the Peace Bonnie Asgar Ali, who lives at the corner of Bombay Street and Kathleen Street in St James, was awakened by the sound of the front door of his home being violently shaken. Ali quickly grabbed his licensed firearm and cautiously made his way toward the front door. At the same time, the door was forced open by a man brandishing a knife. As the man crossed the threshold, Asgar Ali fired a shot at the intruder who dropped the knife, clutched his stomach and slumped to the ground in the living room. Authorities say a man walked into the home, armed with a gun, and demanded that the two women inside to give him money and valuables. Some point during the ordeal the oldest resident, a 63 years old woman, found her gun and shot the robber in the upper body. Shreveport police have connected the 16 year old to a previous burglary of the residence that occurred in mid December of last year. The Oregonian and Statesman Journal have articles on a recent poll on gun background checks. Both mention that the polling was done by Public Policy Polling. But both The Oregonian and the Statesman Journal neglected to reveal anything about Public Policy Polling. The link to the actual poll results in the Statesman Journal article goes to the Center for American Progress Action Fund web site. ARGYLE — School board members voted unanimously a second time Wednesday to approve a controversial policy that will allow some teachers, administrators and other staff members to carry firearms on campus. The new vote also authorizes some school board members to carry concealed guns at board meetings or on school property, a provision that was not spelled out in details provided by the school district after the previous vote. A copy of the policy was not posted until after board members voted on the policy last week. This bill addresses several positive reforms. It eliminates the "legal theft" of firearms, and stops the wasteful practice of symbolically destroying valuable firearms for political theater. Tomorrow, January 30 at 9:00 a.m., House Bill 2473 will be heard in the state House Federal and State Affairs Committee. Sponsored by state Representative Jim Howell (R-81), HB 2473 is important legislation that makes comprehensive improvements to the gun laws in Kansas. If passed and enacted into law, HB 2473 would expand Kansas’ firearms preemption provisions to open carry and prohibit municipalities from implementing local ordinances relating to the transportation of firearms. Whether you choose to carry concealed, open carry or carry a knife for self-defense, HB 2473 would eliminate the complex patchwork of gun laws that arise from local regulations. Along with addressing firearms preemption issues, HB 2473 would ban the use of taxpayer funds for so-called gun “buyback" programs. These programs are a waste of taxpayer dollars and have no proven impact on crime reduction. Additionally, this legislation would prohibit seized firearms not used in the commission of a felony from being destroyed by law enforcement agencies. 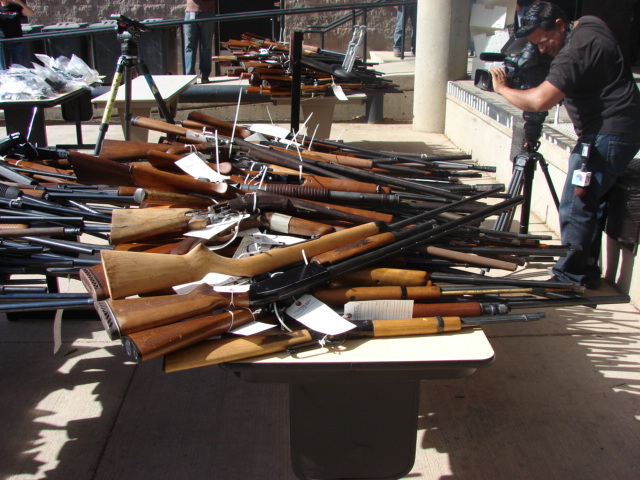 These firearms, so long as they are in operable condition, would either be sold to a licensed dealer (FFL) or donated to hunter education programs. HB 2473 would also mandate that if a firearm has been seized by law enforcement and the owner is acquitted of the charges or the charges are dropped, the firearm must be returned to the owner within thirty days. This comprehensive legislation also addresses permit confidentiality by prohibiting county, city or municipal employers from maintaining a database of employee permit holders. Your NRA fully supports these improvements to gun laws in the Sunflower State and will continue to keep you updated as HB 2473 progresses during the 2014 legislative session. Please stay tuned to www.nraila.org and your e-mail inbox for further updates. Keith Dennis was walking home when he was approached by two men. One of the suspects held a knife to Dennis’ back and demanded money. The men followed him home. Dennis had a friend sleeping upstairs who sensed something was wrong. He came down and fired shots at the men. CHILPANCINGO, Mexico – Hundreds of armed men belonging to community self-defense groups occupied eight small towns near Chilpancingo, capital of the southern Mexican state of Guerrero, and detained a dozen suspected extortionists, a spokesperson for the vigilantes said. The action was taken due to the “federal government’s poor response” in ensuring the security of the state’s inhabitants, Gonzalo Torres, a coordinator of the Citizen Safety and Justice System, or SSyJC, organization, said Friday. The vigilantes said they seized control of the towns, all part of the municipality of Chilpancingo, because their residents are the victims of criminal gangs that extort and kidnap business owners. The SSyJC was founded in Jan. 4, 2013, in the town of Ayutla de los Libres to combat the criminal outfits and has since extended its reach to communities located near the cities of Acapulco and Chilpancingo. “Our presence here is because citizens in this area asked us to come, because they’re tired of there being extortions, payment of protection money and kidnappings every day,” Torres said. A federal offensive in that western state began Jan. 13 with an attempt to forcibly disarm militias that arose to defend communities from the Caballeros Templarios (Knights Templar) cartel, but after four people died in a confrontation with soldiers, the Mexican government changed tack in favor of cooperation with the vigilantes. Mistrust persists, however, and the militias, who get financial backing from business owners tired of paying protection money to the Templarios, say they will hand over their weapons and stand down only after the entire cartel leadership is behind bars. An Oktaha man was released Wednesday after being in custody for almost a week on a first-degree murder complaint. Justin Capps, 18, was being held without bond at the Muskogee County/City Detention Facility for allegedly shooting and killing Richard Kosterlitzky, 30, on Jan. 22. A trend is growing across the nation to restore the ability of public employees to protect themselves. During the last hundred years, the legal ability of public employees to carry defensive weapons has been eroded along with the rights of ordinary citizens. Originally intended to prevent minorities and immigrants from being armed, the philosophy of a disarmed population was put in place in employee codes at all levels of government, local, state, and federal. Much of this was resisted by people with a long cultural affinity for arms, and, as with the general prohibition on concealed weapons, was selectively enforced against out of favor minorities. I recall my father taking a pistol along while working as a state employee in charge of a surveying crew in the 1960s. Even in the early 1970's, I organized informal pistol matches while working for a federally sponsored forest improvement project in Wisconsin that employed students during summer break. No one blinked or considered that it might be improper. This was three years after the passage of the infamous Gun Control Act of 1968. As the decades rolled by, more and more employee codes were written with rules forbidding employees to possess firearms at work. Many of these were pushed as "model" codes that erroneously claimed to limit the liability of employers, based on non-existent evidence that restricting employee rights to be armed reduced workplace violence. People who pushed such policies never considered the possibility of people protecting themselves or that agencies that restricted employees from protecting themselves could be liable for those employees' protection. With the success of the shall issue concealed carry permit laws across the nation, that trend has been discredited and reversed. Several states have passed laws to insure that employee second amendment rights will be respected during travel to and from the job, by insuring that employees can have legally owned firearms in their vehicles on company parking lots. Many private companies now allow or even encourage their employees to be armed. Some of the last bastions to prohibit their employees from exercising their second amendment rights on the job have been federal, state, and local governments. Employees of Saline County who wish to carry a concealed firearm for personal protection must have a concealed-carry permit, as required by law. Employees who wish to carry must keep the concealed firearm on their person at all times. Employees also are prohibited from storing or leaving a firearm in bags, coats, purses and briefcases while not on their person. Commissioners approved a change to county policy 6.16 in the employee manual — the policy on workplace violence/weapons/concealed carry. Under the policy, non-law enforcement or security personnel will be able to carry a gun with them if they have a conceal and carry permit from the state. A copy of their permit must be on file with human resources, part of the employee's sealed personnel file. MURPHY — Cherokee County leaders are taking North Carolina’s expansion of gun rights a step further by allowing legal concealed weapons in most county offices.Anyone, including county employees, may carry a concealed handgun with the proper permit. Cherokee county is not the only county in North Carolina to do so. Alamance County, between Greensboro and Durham, also repealed its 1995 ban on concealed weapons in most county buildings in December, County Manager Craig Honeycutt said. "Our constitution tells us we should have this right and we should exercise our rights. It's our privilege as an American," said Phil Duckham, Jackson Co. Commisioner. Duckham says right now, county employees can't have a weapon, but licensed carriers can bring a weapon in. He says if a county employee is threatened, they should have the means to protect themselves to the extent the law allows. "People need to understand the average response time for police is 5 minutes. That means people have to fend for themselves until police arrive on the scene. It takes 3 minutes for an active shooter to create massive destruction. I believe any good, honest, God fearing, America citizen should be armed." Some people argue that a city worker may take another path and suddenly start shooting inapropriately. Blanchard stated, "Any person can go crazy at any time. If a city worker went crazy and started shooting, I would hope another armed city worker standing nearby would subdue that threat." Additionally, because special districts are not covered under the separate law that allows cities to ban concealed weapons, they also must allow those with permits to bring guns into their buildings. That includes firefighters on duty — something that has been met with mixed reaction among fire chiefs. Bucking the trend is McHenry County, Illinois. Illinois was the last state to pass a concealed carry permit system, something it did after being required to do so by a federal court order. State Rep. John Becker (R-Union Township) introduced House Bill 236 that will allow all non-federal, public sector employees with a concealed carry license to carry into all non-federal and non-secured public buildings. The following is a response from Tom Lambert to a bizarre attack on open carriers by Mayor George Heartwell. I do not think that "bizarre" is to harsh a term considering that the city is defending a lawsuit specifically for violating the civil rights of an man exercising his rights to bear arms under the federal and Michigan state constitutions. His speech would certainly be among the evidence that I would show a jury in deciding the case. Mayor Heartwell, I would like to take this opportunity to respond to some comments I heard you made earlier today in relation to gun related violence and open carriers. I feel your excessive use of distortions, duplicitous fallacies and ad hominem underscores the lack of strength in what you are attempting to convey. I have been working for quite some time now to educate, not only those in this chamber, but also the people of Michigan. Much of my focus has been on the lack of the ability of police to protect everyone. As you adequately pointed out, harm can come to someone even with a watchful officer standing ready in this room. Of course, once we expand on that notion we are led down the frightful path of understanding what would happen if a potential victim had to wait even mere seconds, or God forbid, minutes longer for said assistance. So if calling 911 is okay for people out in the city, why is it not okay for this room? Though I doubt you will admit it, you have already acknowledged the crime-deterring effects of not just guns, but carrying them openly. It is after all why the GRPD carries their guns openly and why you have an officer openly carrying his firearm at this very meeting, is it not? As they say, actions speak louder than words and nothing detracts more from your notion of too many guns than this officer sitting back there at your behest and thanks with yet another openly-carried firearm. Furthermore, in your statements, you pointed to a number of shootings that have occurred so far this year. However, what you failed to mention is that nearly all of them occurred in a “Gun Free Zone” much like what you wish to turn these chambers into. You also failed to mention all the lives, or some of those lives, were saved by lawfully-armed responders. No one watches a leopard chase down a gazelle and denies that the gazelle has the right to defend itself, but you would seemingly deny that same right to other human beings. You seem to think that the way to stop the leopard is to the cut the horns off the gazelle – that by somehow making it easier for the predator, the predator will somehow go away. This is folly. When you make it easier for the predator, you get more predators, as your “Gun Free Zones” have clearly demonstrated over the past few decades. On the other hand, we have a very clear inverse trend of the number of gun owners in this country and the number of violent firearm-related incidents. You pointed to the number of firearms in the county that has gone up almost double in the last 20 years while the number of violent firearms-related incidents has gone down by almost two-thirds over the same time: Extreme uptick, extreme down. I have said many times that the facts do not concern you, and once again you have proven me right. In referencing a recent road rage incident in Ionia, you attributed it to “lax and irresponsible gun laws." The truth, if you had bothered to pay attention, is that one man defended his family from someone who wrongfully had a CPL because a prosecutor did not charge him properly and the gun board let the man slide. Would you have preferred the defender leave his family to defend themselves? When I sat in front of you in your office I specifically mentioned proper prosecution using the laws we already have, yet you ignored me. I reached out to you with something I thought we both could agree on and it became abundantly clear that it was not public interest that you were putting first and foremost. My message is and has been one of education and understanding. Your message is and has been a message of confusion, fear and bigotry. I want more people to know the laws and understand them, where you want others to be confused about our laws and afraid of people such as me without first attempting to understand us. You tell me who the bully is there and where the righteousness lies. Next time Sam Jones Darling (an LGBT advocate who frequents commission meetings) is here, why don’t you ask him how righteous his detractors claim to be. When former Congresswoman Gabrielle “Gabby” Giffords appears today in Olympia to testify in favor of Initiative 594, the 18-page gun control measure being sold as a “universal background check” requirement, only one question should be respectfully asked: How would adoption of this measure have prevented the kind of thing that happened in Tucson in January 2011? That's the incident in which Giffords was shot in the head by a gunman who killed six people and wounded 12 others, including the former congresswoman. She will be accompanied today by her husband, former astronaut Mark Kelly. The question is a fair one. There is no disrespect in it. If Ms. Giffords comes to Washington State to testify on behalf of a gun control proposal, because of her personal tragedy and triumph, she ought to explain how this measure would have prevented what happened. David Kennedy, a renowned criminal justice professor and co-chair of the National Network for Safe Communities, believes that places like the 1500 block of East 50th Street where Deontrey was killed, or Central Avenue where two other Chattanoogans were shot around the same time, aren’t necessarily bad areas. Good people live in those areas, just as the overwhelming numbers of those who live in our inner city are decent and law-abiding citizens. Gun-rights activists believe they will see the pendulum swing back in their direction this year. President Obama and his gun-control buddies were successful in pushing through new restrictions on the Second Amendment in eight states last year. But now, South Carolina has bucked the trend and moved to strengthen the right to bear arms. Gov. Nikki Haley is expected to soon sign a bill, which passed the General Assembly on Thursday, that allows for concealed carry in bars and restaurants. Gun owners will still have to have a legal permit and not drink alcohol. This is the first gun-related state legislation to be sent to a governor this year. Have you ever wondered why you can't pull your pickup truck into the parking lot of the Gillette, Wyoming, post office, go in, and mail a letter -- without giving up your Second Amendment rights? The original law contained a provision, at subsection (d)(3), which would allow you to carry your gun for "other lawful purposes" -- including, presumably, self-defense. But, not surprisingly, the ATF and the other anti-gun denizens of the federal government have read this exception out of the law -- by executive fiat. You can E-mail the Senators -- or call them at 202-224-3121. The above picture is going viral on the net. 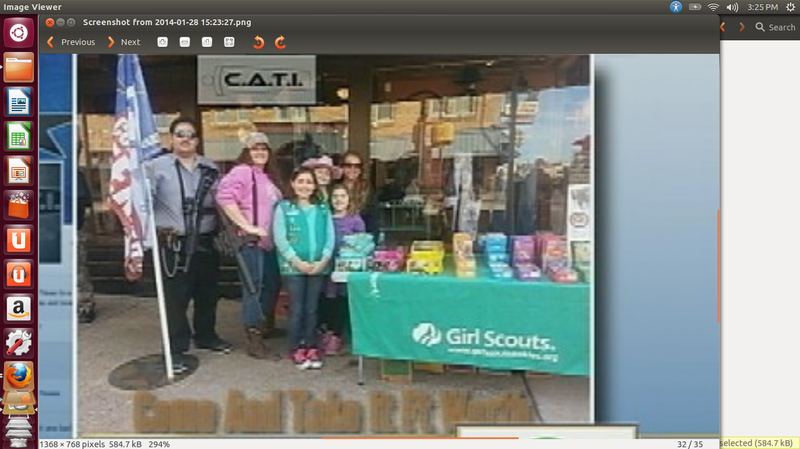 It shows a couple of members of Come And Take It of Fort Worth with some Girl Scouts. I talked to Kathy Perkins, who was there, and she told me about how it came to be taken. Kathy says that the local chapter of Come And Take it was engaging in their usual act of civic education by taking a walk in the area. While they were doing so, they saw the Girl Scouts selling cookies. Feeling a little hungry, they decided to buy some of the cookies. The Girl Scouts were excited about the open carry of rifles and liked the idea of people exercising their rights. They agreed to a picture with the CATI members, which Kathy posted on the web. Someone, unknown to Kathy, grabbed the photo and it took off, going viral. Kathy is one of the founders of momswithgunsdemandaction.com. I did not find the picture on their web site, but I did find a notice that they are working on improving the site. Myfoxdfw.com did a story on the picture, and the local Girl Scout council felt obligated to remind everyone that they do not get involved in political issues. Girl Scouts is not a political organization and we do not advocate on any position. Further, neither girls nor volunteers are allowed to promote another organization in their role with Girl Scouts. When working in an official capacity, both girls and adults are to uphold the Girl Scout Promise and Law in all they say and do." Even 50 years ago, the picture would not have been considered political. The equivalent guns of the day, M1 Garands and M1 carbines, were not controversial. You could buy them through the mail, and the government encouraged such purchases. A boy or girl scout troop that posed with adults holding such rifles would merely have been seen as picturesque. 50 years of infringements on second amendment rights have resulted in the current situation. Kathy said that she has been subject to numerous personal attacks on the Internet because of the photograph. A Port Arthur resident and an intruder exchange gunfire during a home invasion Sunday night. Officers spoke with the residents at the location of the first call and were told that three men had forcibly entered the home. Police say four people tried to break into the home on Merida last night. One of the suspects was shot in the face after the homeowner fired a shotgun. Investigators said the man indicated he had a gun and demanded cash from the register. Instead, the clerk pulled a gun in self-defense, and the suspect took off. This report comes from AP, with its strong bias against an armed populace. The motion comes on the heels of two fatal shootings on college campuses last week. A student shot and killed a 21-year-old teaching assistant at Purdue University in Indiana Tuesday, and a 22-year-old football player was shot during an argument outside a South Carolina State University dormitory Friday. Sen. Curt McKenzie, one of the proposal's authors, said Monday arming students and faculty could actually prevent school shootings like this. Colorado, Kansas, Mississippi, Oregon, Utah and Wisconsin allow concealed carry on college campuses, while 23 other states _ including Idaho _ leave it up to the colleges to decide. Twenty-one states ban guns on campus. The man pretended to be drunk long enough to get to his safe and pull out a gun. One suspect ran away and the victim held the other suspect at gunpoint outside his apartment. He then told the suspect to leave. VAN ZANDT COUNTY, TX (KLTV) - An East Texas burglary suspect is dead after homeowners found him rooting around on their property in the middle of the night. The property owner was armed and confronted the burglar, who then fought back. However, that fight didn't last long thanks to the homeowner's watchful son who was standing 40 yards away. "I meant to shoot one time and that was it. He was going to kill my dad," explains the son. The father and son pair are still together, because they didn't back down when the unrelenting burglar came after them around 4 a.m. Tuesday. Still, they say they've had enough attention the last couple of days and have asked to leave their names out of their story. 79 of the county, municipality or other governmental body. Several states have already banned the wasteful practice of destroying assets collected at such turn in events. In the Middle Ages, punishing objects was considered a deodand ceremony. 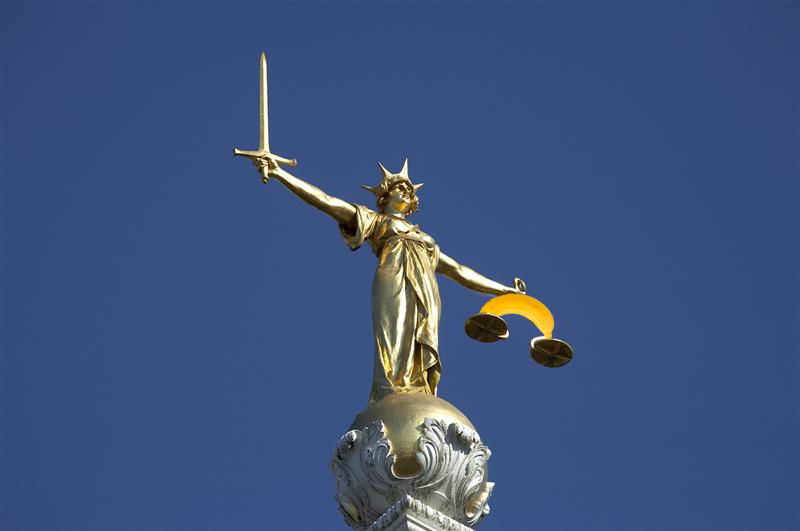 Deodand is medieval term created to indicate an inanimate object that was found guilty of a crime. Arizona and North Carolina passed similar measures last year. Many critics claim that such bills "ban" "buy backs", but they only require that the assets collected be sold instead of destroyed. The guns are still taken off the street. They will be sold out of gun shops just like new guns, giving a choice to a person who wishes to exercise their second amendment rights. Many gun collectors now attend these gun turn in events hoping to obtain rare, historic, and collectible guns at a bargain price. Much is unknown here. On pure speculation, the injunction could be because of a restraining order in a domestic case, a drunk driving charge, or something else imposed by a judge. It is unlikely that the homeowner is a felon, because that would be a violation of a statute, not an injunction. Jacksonville police have judged that a homeowner who shot and killed an intruder inside his house was justified in firing the shot. But the homeowner, whose name has not been released, has been arrested for a misdemeanor violation of injunction for having a firearm, and was taken into custody Saturday afternoon, police said. One thing is for sure, both police and "Come And take It" organizers had a peaceful, respectful day in Andrews. "Come And Take It" has over 40 chapters across the state with rallies going on just about every weekend. We have been going town to town educating not only the public but the local police departments on laws that they haven’t had to enforce and have forgotten. But what seemed strange earlier this year has become commonplace amongst us Texans. Police departments everywhere are stepping up and respecting our second amendment. "It's in our mission statement that we work hand-in-hand with law enforcement,"
Perhaps Chief Jones and the Andrews police department will reciprocate in the future. The leading candidate for Governor, Greg Abbot, has said that he supports legalizing open carry of handguns in Texas. Michael Keoughan was exercising his right to bear arms in Texas last Wednesday (22 January). He is part of a Texas group of second amendment supporters that demonstrate that the second amendment means something by legally carrying rifles slung across their back. They openly state that they are educating people about their rights under the Texas and Federal Constitutions. Before the Civil War (or War Between the States), Texas had a strong right to keep and bear arms clause in its constitution. After the Confederacy lost the war, the reconstruction government created a new Texas constitution. The new Texas constitution had a "soviet style" right to keep and bear arms. That is, they listed the right, but made it irrelevant by saying that the legislature could ignore it when they thought they needed to stop crime. The reconstruction legislature immediately made the bearing of arms illegal. When the reconstruction government was kicked out, a new constitution was written and passed. It reinstated the right to keep and bear arms, but failed to completely remove the legislature's ability to modify it. They left in a phrase saying that the legislature could regulate the "wearing" of arms. The legislature never removed the reconstruction ban on wearing pistols or large knives. That is why the right of Texans to openly carry rifles and shotguns is protected by the constitution, but open carry of pistols and large knives is not. Come and Take It, the second amendment group that Mr. Keoughan belongs to, aims to restore the right to openly carry pistols and other weapons to Texans. 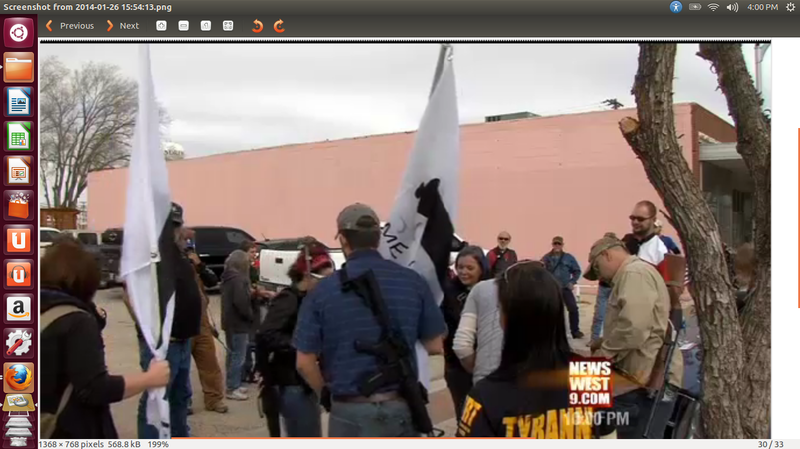 It has held numerous open carry demonstrations around Texas, and is in the process of planning another for Andrews. Mr. Keoughan was checking out the rout of their rally when he was arrested for openly carrying his rifle strapped to his back. This is the second time that an Come And Take It member was arrested in Andrews for open carry. The Police chief, Jones, was notified that the rally would be taking place, and still says that he will support it. "I had great interactions throughout the entire day until the police showed up," Keoughan said. "We didn't know who he was, had no clue but we started getting a mass number of phone calls," Chief Jones said. "By displaying the weapon, he caused undue alarm." Some people were alarmed. We do not know how many, or how alarmed, because from past experience with these events, the calls are often an inquiry asking if the open carry is legal, which is exactly the sort of education Come And Take It is attempting to achieve. The Chief is wrong to presume that causing alarm is the same as "calculated to alarm". If merely "causing alarm" were sufficient to arrest, then the entire constitutional guarantee of bearing arms in Texas could be voided by anyone claiming that they were "alarmed" by seeing someone bearing arms. "This is the issue that they don't want to address that we have to address," Chief Jones said. "When we get a call about a person with a gun, do we ignore it? Walking down the street? They're alluding to the fact that we don't have any right to make contact to them because they're not doing anything wrong. I beg to differ with them." "I can't emphasize enough that we support their right," he said. The police, after determining that Mr. Keoughan was exercising his rights, did not have to arrest him. In fact, it appears that they arrested him without legal cause to do so. The well known and brilliant law professor, Eugene Volokh, has partnered with the Washington Post to place the Volokh Conspiracy, a well argued and written blog that I have often cited, under the Washington Post website. And there’s a wide middle zone of people, on this subject and on others, who are open to hearing arguments — and facts — and who might be swayed by them. (I was one myself, before I started researching gun issues seriously in the mid-1990s.) But to reach those people, you have to be in the publications they read, with the credentials they respect, both our preexisting academic credentials and the credential of affiliation with the Washington Post. Perhaps he will be able to open some minds at the Washington Post. The guns that are still usable will be auctioned off and the money, minus the taxes, will be given back to the department that resold the guns. The departments can use the money to buy ammunition, vests, weapons or otherwise enhance public safety. INDIANAPOLIS | A proposal forcing Gary and other Indiana cities to end their gun buy-back programs was approved 6-2 Wednesday by the Senate Judiciary Committee. A bill that would do away with gun buy-back programs in Indiana will now go before the Indiana Senate for a vote. INDIANAPOLIS — A proposal to prohibit local governments in Indiana from holding gun buy-back programs is on its way to the state Senate. A bill to prevent local governments from holding gun buy-back programs is on its way to the state Senate. The sponsor of the bill says he can't understand why police would want to destroy guns that have significant value and could be resold. What this shows is the incestuous relationships in the old media, and the over reliance on the AP to decide what "spin" to put on an article. Though most of the articles go on to describe the actual bill as merely a ban on the destruction of valuable guns, the idea that this somehow "bans" cities from doing "buy backs" has already been stated. Of course, when guns are sold to lawful collectors, instead of destroyed for symbolic purposes, it destroys the underlying "guns are bad" message instead. COLUMBUS — School districts that designate teachers and other personnel to carry hidden firearms must undergo pretraining and a psychological assessment after the fact if they use the weapon under a bill that passed the House with bipartisan support Wednesday. The House’s 90-18 vote Thursday sends the bill to Gov. Nikki Haley, who says she’ll sign any gun bill that doesn’t restrict rights. 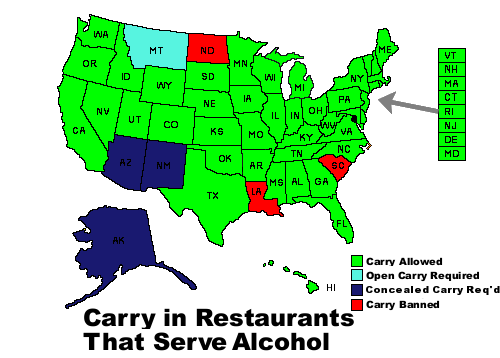 As shown in the map above, nearly all states allow permit holders to carry weapons in restaurants. South Carolina is one of the last three holdouts, with only Louisiana and North Dakota still prohibiting the practice. Restaurant carry passed the Louisiana House 64-24 last year. In an amusing nod to federalism and the vagaries of legislative action, Montana only allows restaurant carry if the firearm is carried openly; Alaska and Arizona only allow the practice if the firearm is concealed. The bill appears to be bottled up in committee. A bill has been introduced in the South Carolina legislature -- bill S. 115 -- that would implement what is known in gun rights circles as "Constitutional carry." The term refers to the right to carry a gun either openly or concealed without a state permit, as delineated by the U.S. Constitution. MILTON-FREEWATER The East End Rod & Gun Club’s application to continue operations was approved by the Umatilla County Planning Commission Thursday night, but a number of restrictions were placed on its activities. The Milton-Freewater club, which has about 800 members, has operated a shooting range since 1994 on 85 acres of leased property, but was never officially approved by the county. About 6:40 Monday evening, deputies responded to a residence on Air Blanc Circle in reference to a shots fired complaint. Deputies said Dvorak, who was known to the victim, came over to the home and attempted to rob the victim at gunpoint. The victim pulled his firearm in self-defense and was able to prevent the robbery. USA --(Ammoland.com)- On December 20, 2013, Gabriel Drennen’s lengthy legal odyssey, following the self-defense killing of Leroy R. Hoster, came to an end when Fremont County, Wyo., District Court Judge Norman E. Young signed an order dismissing the remaining charges against him. The move followed an October 1st decision from the Wyoming Supreme Court that overturned Drennen’s initial conviction for first degree murder. Drennen’s case, supported by NRA, is important precedent in ensuring Wyomingites are able confidently to exercise their right to self-defense. Drennen’s initial conviction for murder evolved from a dispute with Hoster, who was a tenant on trailer park property Drennen owned. On May 2, 2010, Drennen went to the trailer Hoster had been staying at to post “no trespassing” signs, following Hoster’s failure to pay lot fees. While Drennen was putting up the signs, an unarmed Hoster attacked him, throwing the landlord off the trailer’s porch and over a fence, and causing Drennen’s head to strike the ground. During the attack Hoster threatened, “I’ll Kill you, you son of a b**ch.” As Hoster was coming over the fence to continue the assault, Drennen drew a 9mm pistol and fired at his assailant, killing him. Following a trial, a jury found Drennen guilty of first-degree murder and assault and battery. Drennen was sentenced to life in prison. I have read through a number of accounts of Lobby Day at the Virginia Capitol at Richmond on 20 January. I was drawn to study the event because of an account on wvtf public radio. The account on wvtf said that competing crowds of people were lobbying in favor of second amendment rights and those who wish to restrict those rights, occurred on Tuesday. I think the reporter simply got the day wrong, because all of the other coverage that I could find indicated the events occurred on Monday, 20 January, 2014. Organizers of a rally in support of unfettered gun ownership thought it ridiculous that someone could lose their second amendment rights for slapping their spouse around. The above had no attribution and no quotes, and no acknowledgement of the federal Lautenberg amendment, which already takes away second amendment rights for mere accusations of "violence" which may not involve physical contact. WVTF estimated that there was a crowd of about 500 when those who were pushing for more government power spoke, but did not differentiate between those supporting and those opposing the legislation. In terms of attendance, I saw about 400+ people wearing GUNS SAVE LIVES stickers and I saw Josh Horwitz of the CSGV doing an interview and counted just under 20 people cloistered in a conference room wearing BACKGROUND CHECKS SAVE LIVES stickers. Gun-rights activists took the morning shift, with several hundred gathering on the Capitol grounds before heading inside to lobby state legislators. Gun-control advocates gathered on the same spot several hours later in a slightly smaller but much younger and more diverse group. The gun-control event drew McAuliffe's wife, Dorothy, as well as Lt. Gov. Ralph Northam and Attorney General Mark Herring. Both men are Democrats, as is McAuliffe. Brian Moran, McAuliffe's choice for public safety secretary, told attendees they "now have a champion in the governor's office." He predicted a turning tide on gun issues, and event organizers said this rally was their largest in 21 years. Still, Northam said he didn't expect a universal background check bill to pass this year. But it's coming, he said, particularly since young people seem to favor the change. There are likely many factors to explain why the number of those in favor of the second amendment were at a low, though still outnumbering those pushing for more government power, which were at a 21 year high. Police say a man with a gun approached another man loading band equipment into his car. The suspect took some equipment, then let the victim drive away. But as he did, the suspect began yelling and aimed the gun at the car. The driver, who has a concealed weapons permit, pulled his gun and fired at the suspect, hitting him once in the chest. I would say that the insane "gun free school" policies caused the school to go on lockdown, not a veteran peacefully exercising his constitutional rights. Otherwise the article is fairly good at explaining what happened. ANDREWS - A fierce debate is heating up again in Andrews. A gun rights group is upset because one of their members was arrested on Wednesday afternoon after carrying around his rifle in public. The whole thing caused a nearby school to go on lockdown. "He was just calmly walking," Arthur said. "You wouldn't think anything of it unless he didn't have a gun." But moments later, the middle school was put on lockdown and Arthur said Keoughan was surrounded by police. He was eventually arrested. Another viewer took a picture as it happened. 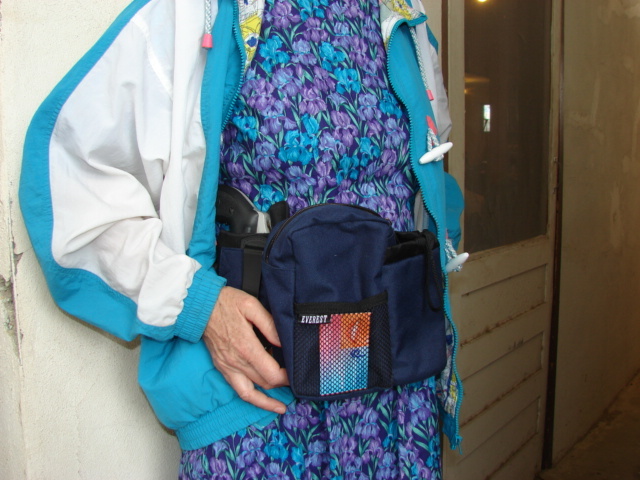 The State of Oklahoma passed its Open Carry Law in early 2012, one year prior to the Mississippi law. By all appearances it would seem that Oklahoma did an outstanding job in looking ahead with a proactive plan to limit challenges for the future. Sadly, Mississippi’s approach has been more reactive than proactive. Shortly after the Oklahoma legislative session ended, law enforcement authorities began to develop plans to deal with their new open carry law. Stories began to surface as early as a month or so following the end of the session and up to the effective date of the law (November 1, 2012). Police have already developed a training plan for officers and dispatchers on how to respond to complaints related to the new law that will be effective November 1, 2012. Reported that the new law set to become effective on November 1st, caused Michael Konshak of Bixby Police Department to identify the need for dispatcher training. “That’s the dispatchers who are going to be taking the 911 calls for a man with a gun,” Konshak said. “It’s equally critical that law enforcement personal really understand the entire self-defense pact inside and out. We’re the one’s who are responsible for enforcing those laws.” He said it is important to see that officers and dispatchers are properly trained. Representative Jim Lucas, R-Seymore, has introduced a bill to reform Indiana law that restricts self defense in or near schools. The bill HB1048, aims to do a number of things, such as allow people to possess firearms that are locked in vehicles on school property, change the definition of school property for firearms offenses to the actual buildings rather than all the real estate owned by the school, and perhaps most interestingly, decriminalize "roaming school zones". What are "roaming school zones", you might ask? commits a Class D Level 6 felony. You can see the problem. A class from a school takes a field trip to a zoo. The zoo is being used for a "school function". Anyone now at the zoo with a firearm has just committed a felony, even though they did nothing. The "school zone" moved around them. I would like to believe that such a law would not pass constitutional muster, but I recall some reports of proposals to make roaming gun free zones around the president in 2009, so I might be premature to think so. HB1048 would change the definition to require exclusive use by the school; that the property not be accessible to the general public; and signage to inform people that the area is now a gun free zone. It is nice to see a legislator taking the lead to introduce required reforms. The "roaming school zone" is being described as a legislative mistake. I hope that they are able to pass the reform needed to correct it. Teachers, parents, visitors and some older students would all be allowed to bring guns to school parking lots under an Indiana lawmaker’s proposal. A bill by state Rep. Jim Lucas, R-Seymour, would let licensed gun owners have firearms on school property if they leave them locked and out of sight in their vehicles. A 63-year-old man shot a burglary suspect in the leg about 9:15 p.m. Tuesday night when he returned to his home in the 6900 block of Puget Beach Road and found the intruder, according to the Thurston County Sheriff's Office. The man had returned to his home with his wife, and armed himself with a handgun when he heard noises on the second floor of his home, Thurston County Sheriff's Lt. Greg Elwin said. When the homeowner confronted the burglar at the top of the stairs, the suspect either attempted to assault, or did assault the homeowner, Elwin said. The homeowner fired a single shot which struck the suspect in the thigh, Elwin added. Patients obtaining medical marijuana in Illinois will give up their state-recognized right to own guns if a proposal by the Illinois Department of Public Health is approved, the Chicago Tribune reported Tuesday. “The plan outlines how adults who have any of 41 specified medical conditions, such as cancer, AIDS or complex regional pain syndrome, may apply to get a patient registry identification card to purchase medical pot,” the report explains. That means rather than hold substance abusers accountable for harming others while under the influence, sick and vulnerable people in physically weakened conditions will be unable to defend themselves at all times. “I don’t see why anyone would object to this because it benefits everyone involved,” Tomes said. 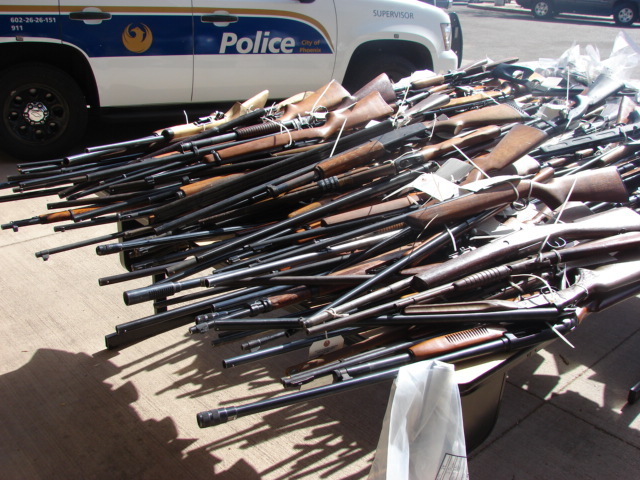 Currently, guns that are obtained by law enforcement officials are destroyed and used as scrap metal. If Senate Bill 229 becomes law, local officials could only destroy guns that have a serial number that is indecipherable. Those guns can then be taken back to labs for investigation and used as scrap metal. Guns that are determined as being defective can only be sold to FFL members. This bill is an improvement over the Arizona reform in that firearms that are not working can be salvaged for parts by being sold to federal firearms license (FFL) holders. Often the parts from older firearms are worth more after being pieced out than the firearm is worth as a unit. Some companies specialize in brokering deals for firearms between police departments and large gun dealers. Some states conduct auctions of guns collected, as do some individual departments. The Indiana Senate Judiciary committee passed the bill by 6-2. The North Carolina bill passed by large margins: 98 to 16 in the House, and 48 to 1 in the Senate. It was signed into law by Republican Gov. Pat McCrory. INDIANAPOLIS (AP) - The Indiana Senate has approved a measure banning gun buy-back programs. WASHINGTON – U.S. Senators Roger Wicker, R-Miss., and Thad Cochran, R-Miss., are backing legislation that would allow persons with state-issued conceal carry permits to use them in other states with conceal carry laws. The Concealed Carry Reciprocity Act of 2014 (S.1908) is intended to defend the Second Amendment rights of individuals with conceal carry permits, allowing them to carry those privileges from their home state to other states that also have conceal carry laws. While extending concealed carry privileges, the legislation recognizes state’s rights and does not provide for a national concealed carry permit. Wicker and Cochran, both members of the Congressional Sportsmen’s Caucus, were among 57 Senators who earlier this year voted in favor of an amendment comparable to this legislation. In addition, the Mississippi Senators cosponsored similar legislation in the 112th Congress. (R-Pa.) and David Vitter (R-La.). The measure has been referred to the Senate Judiciary Committee. The oral arguments in the case of Abramski v. United States, where the Supreme Court is determining if the ATF can change the definition of what is a "straw buyer" without a change in the statute, and whether a person who transfers a firearm to someone who can legally posses the firearm is involved in a "straw purchase". The ATF had one interpretation of the statute from the implementation of the law in 1968 until 1994, 26 years later. Then they started a different interpretation of the law under the Clinton regime. 3 of the Gun Control Act. 18 does -- is the basis for the requirement on the form? 1 to have a different one. 25 the statutory text, was there? 6 unlawful -- a person to whom firearms could not be sold. 8 possessor, then there was no liability. 10 least, to either interpretation, no change in the words. 12 mind and read it the other way. 6 purchasers, I think, is very problematic. Several other issues were brought up in the case, including questions as to the utility of the regulation when it is legal to sell to a private purchaser immediately after the purchase, as long as no money changed hands before, that gifts to private parties are also perfectly legal, and other arguments make me believe that the defense ended with an edge in the oral arguments. We will not know for certain until the written decisions come out, and that may not be until June. Oral arguments are not a great predictor of how a decision will finally be rendered, but I find the point that ATF interpreted the law both ways to be quite interesting and helpful to the defense. My interpretation is that the ATF changed their interpretation because their boss, President Clinton, was extremely anti-second amendment rights, and pushed for as many restrictions as he could possibly obtain. Whether he went beyond what this court will allow remains to be seen.